If all that was stopping you from liking the ludicrous 2013 Ferrari LaFerrari was the fact that its 6.3-liter V-12 engine was paired with an electric motor, Ferrari’s latest plans will appease to you greatly. The house of Maranello announced that it will stick to building V-12-engined cars in the future but they won’t feature a hybrid drivetrain as the LaFerrari did. 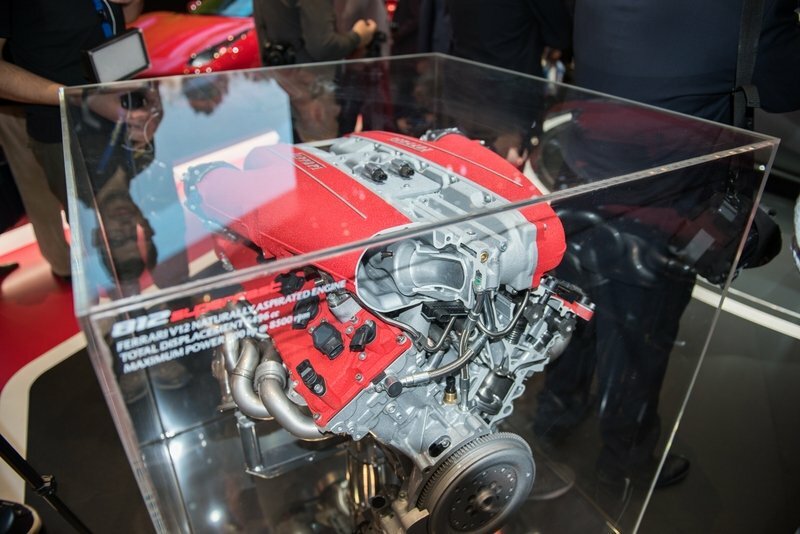 Ferrari’s high-revving V-12 is one of the company’s treasures and, by the looks of things, we won’t wave goodbye to this behemoth yet although other manufacturers are constantly looking at ways to downsize their engines. 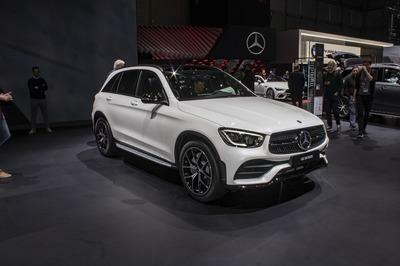 Mercedes-Benz, for instance, unveiled at the 2019 Geneva Auto Show the S65 AMG Final Edition, the last S Class to be powered by a V-12, while BMW’s M760Li XDrive is on its last legs too. So we’re glad Ferrari won’t budge so easy with the wind of change blowing in its face. When Ferrari unveiled the replacement of the Enzo the world gasped. Not because its name, LaFerrari, translates to ’The Ferrari’ in English. Nor was it because of its dramatic appearance. It was because it cranks out 951 horsepower and only 790 of them come from the midship-mounted 6.3-liter, naturally aspirated, V-12. 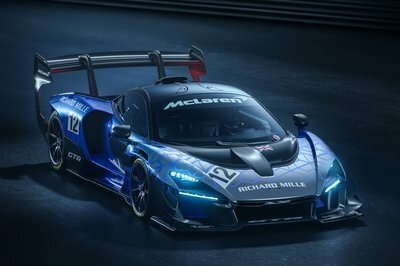 The other 161 horsepower comes from an F1-style kinetic energy recovery system (KERS) with a battery pack and an electric motor. The combined torque amounts to 664 pound-feet while the ICE gorgeously revs all the way up to 9,000 rpm to give you all that oomph. However, some people ignored that and only focused on the mild hybridization aspect of the LaFerrari and couldn't stop wondering if this spelled the end of traditional Ferraris. Was this it? 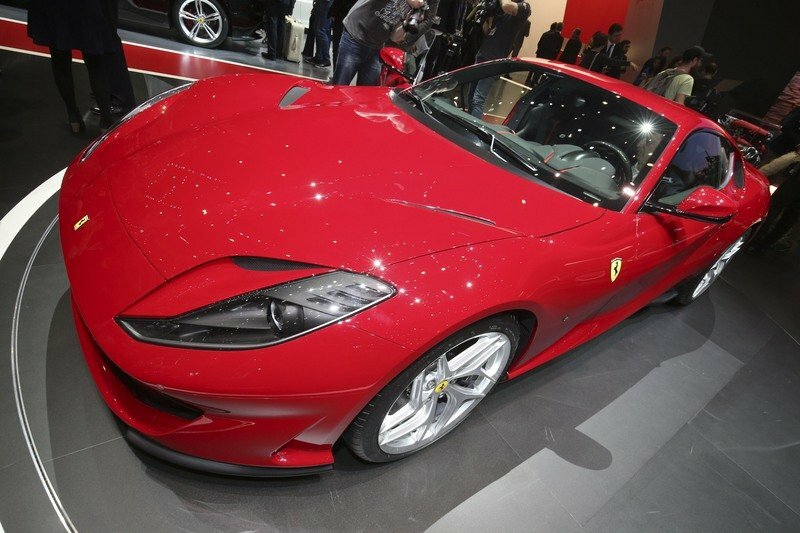 Was Ferrari moving fast towards an eco-friendly future? Well, as we’re finding out four years after the end of the LaFerrari’s production, this isn’t the case at all. Top Gear recently talked to Michael Leiters, Ferrari’s Technical Director, who gave a little bit of insight on Ferrari’s plans for the near and mid-term future. We already know that we’re bound to get four more Prancing Horses beside the F8 Tributo before 2019 wraps up, and the news that the V-12 engine is part of Ferrari’s future is very exciting indeed. "A naturally aspirated V12 engine is not a downsized engine, and for me, it doesn’t make sense as a hybrid. We will fight for the V12, of course," Leiters said. "We will do everything we can to keep it as it is core to our brand. 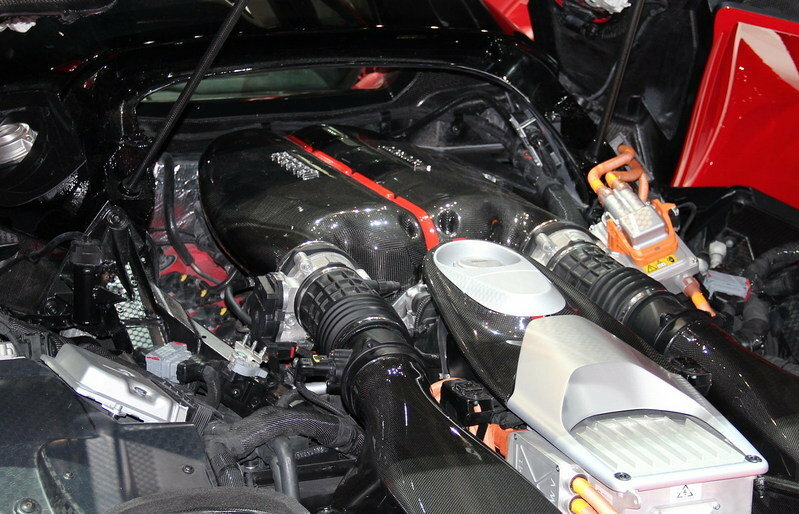 But a real hybridization of the V12? I don’t see it. 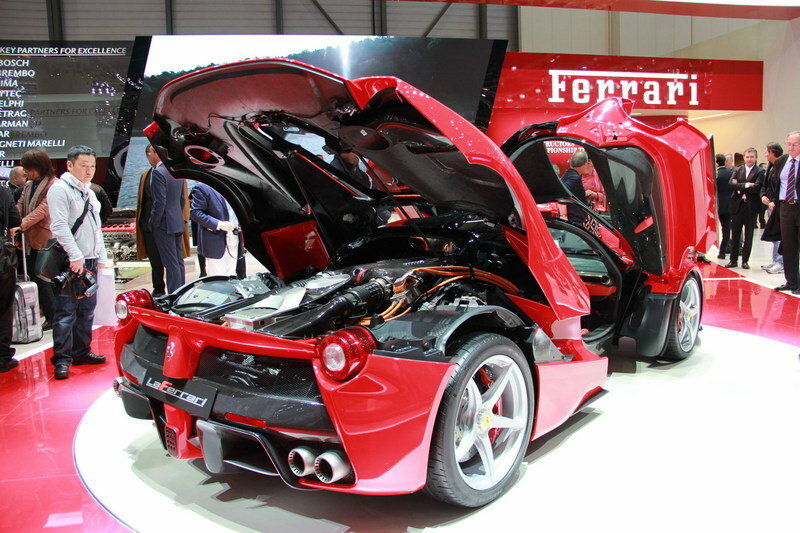 The LaFerrari was hybridization for performance," the technical director pointed out. 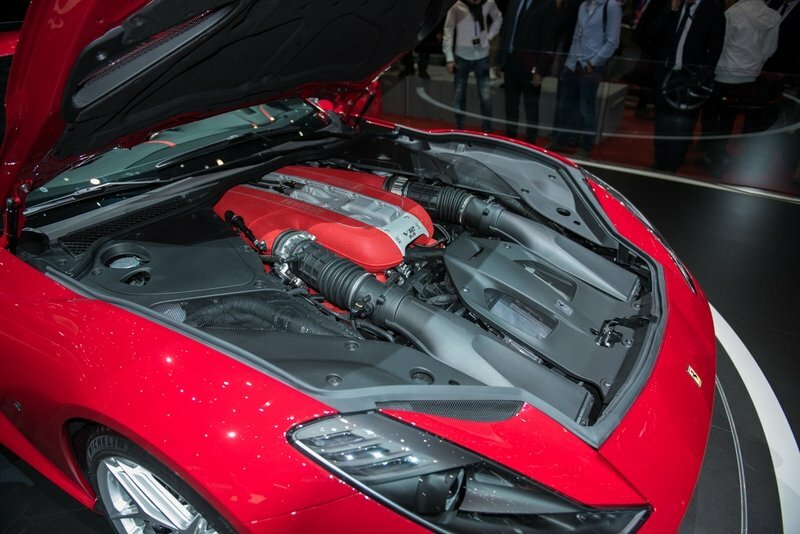 He detailed his vision talking to Road & Track during the 2019 Geneva Auto Show when he underlined that "if we’re doing a V-12, I’m not thinking about hybridization. It’s a contradiction. Maybe we would get a little reduction in consumption with a hybrid, but it doesn’t make sense. To get the full potential of a hybrid, we need to downsize the engine." 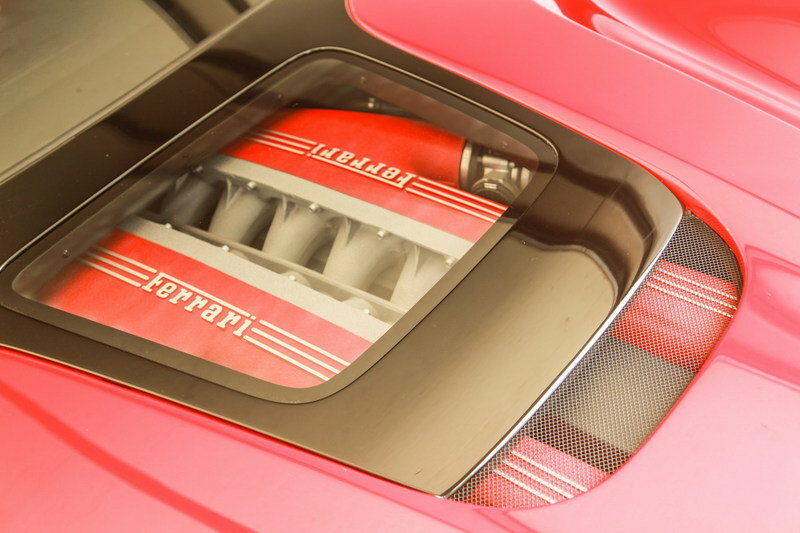 Also, if Leiters keeps his position, the V-12s on future Ferraris won’t be turbocharged either. If only for his dedication to keeping the V-12 unadulterated, let’s hope that Leiters won’t be hung out to dry any time soon. But this doesn’t mean Leiters isn’t focused on bringing in hybridization. 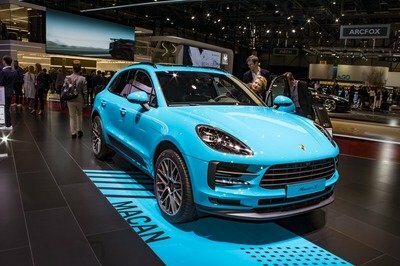 After all, Ferrari aims to have a 60% hybridized lineup by 2022 when the Purosangue Crossover will drop. By then, 15 new models will have been introduced, and we’ve already seen a few of them in the form of the F8 Tributo and the two open-top beauties that are the Monza SP1 and the Monza SP2, the first models to feature under the ’Icona’ umbrella. Now, for the whole package to be as efficient as possible, you need a small engine or, to put it in other words, with fewer cylinders. Basically, you can't make a V-12 efficient enough by adding a KERS system and electric motors for the whole shebang to be worth doing. 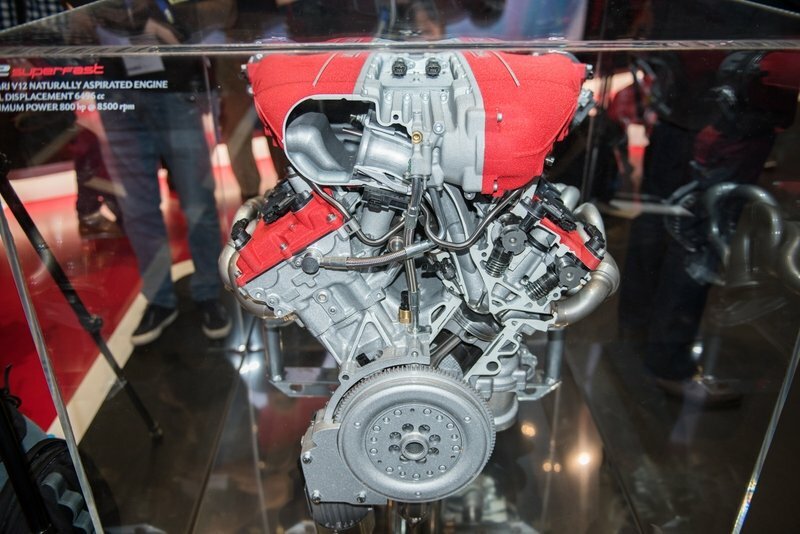 Point in case: the hybrid Ferrari that will be here in about three month’s time should be powered by a V-8 engine, and then there’s the upcoming FWD V-6 platform and the midship V-6 unit also on the pipeline. In fact, Auto Blog quotes CAR Magazine who’s guessing that the hybrid supercar we’re all waiting for will, in fact, be the reborn Dino with a V-6 behind the seats, although we’ve been hearing more rumors about the model being a V-8. According to the British outlet, "the 2.9-liter, twin-turbocharged V-6 works up 610 horsepower and 443 pound-feet of torque by itself. Given plug-in hybrid assistance and an e-motor between the engine and transmission, the numbers grow to 723 horsepower and almost 800 torques." CAR Magazine places the debut of the new V-6-engined model in May, almost at the same time as the V-8 which doesn’t really add up as I’m sure Ferrari wouldn’t want its own new products to be battling each other for the headlines. It would be bad for business. What’s interesting is that of both the Stelvio Quadrifoglio and the Giulia Quadrifoglio were co-engineered with Ferrari and are assembled at Maranello. 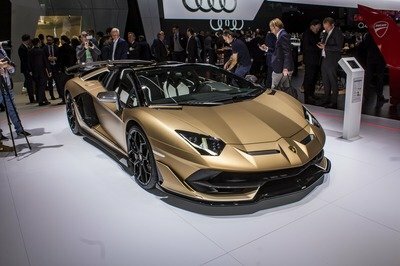 They feature 2.6-liter, twin-turbocharged V-6s capable of 503 horsepower at 6,500 rpm and 440 pound-feet of torque at 5,500 rpm. The newly-launched ’Racing Edition’ models come with 10 extra ponies added to the output of both the Giulia and the high-riding Stelvio. It’s always nice to try to predict what’s going to happen and to try to dissect fact from fiction when diving deep in the waters around the rumor mill. But, before Ferrari actually shows us its new hybrid cars and its next V-12 beast, let’s look at the current V-12 Ferraris that you can buy if you can afford to. First off, the 2016 GTC4Lusso, a grand tourer ready to take on long journeys. The Lusso, replacement of the equally spacious FF, is fitted with a 6.2-liter, naturally aspirated V-12 that sends power to all four wheels through a dual-clutch seven-speed automatic gearbox. There’s also a V-8-engined GTC4Lusso T version that’s RWD only. 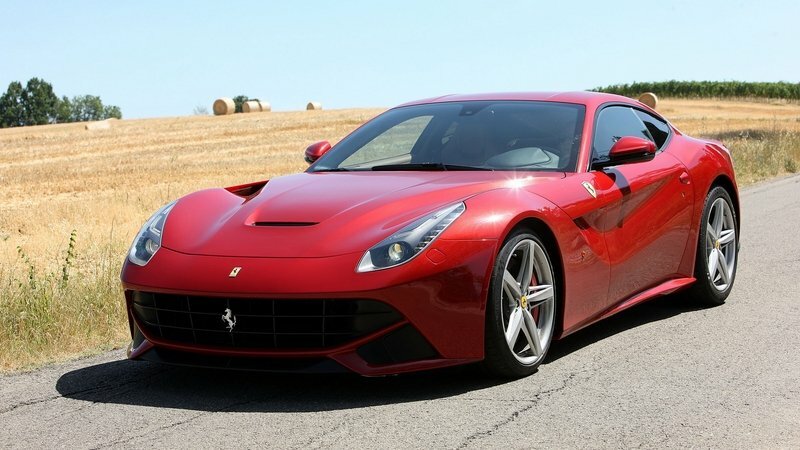 But the standard Lusso is the cool one because the V-12 churns out 680 horsepower and 514 pound-feet of torque or 78 horsepower more than the T which, however, makes up when it comes to torque as it puts out 47 more pound-feet. The V-12 Lusso is also quicker to 60 mph by 0.1 seconds compared to the turbocharged model, needing only 3.4 seconds to complete the task. And this is in spite of the fact that, at 4,250 pounds, the V-12 Lusso is 100 pounds heavier than the V-8 Lusso. At the end of the day, though, both cost about $300,000 so you’ll have to swap in about 13 specced-out 2019 Toyota Corollas in exchange for one GTC4Lusso. Now, if you really want to leave a trail in the asphalt as you go by, you need to get Ferrari’s other V-12 car, the 812 Superfast. Normally, I’d automatically hate a car named ’Superfast’ but, in Ferrari’s case, this name is rooted in the company’s history and, what is more, the 812 is genuinely super fast! Powered by a monstrous 6.5-liter, V-12 mill that's 75% new in comparison to the 6.3-liter unit that powered the now-retired F12 Berlinetta. What the avalanche of new bits means? Well, the 812 Superfast brings to the table 789 horsepower (59 more than the F12) and 530 pound-feet and, with no turbos for Leiters to worry about, there’s no fuss in the delivery. Or, actually, there is because this car likes to spin its tires a lot and you have to get all the way to the 8,500 rpm redline to be able to say you’ve lived a full life. But it’s not only about brute force, although it’s all that force that helps the 812 accelerate from naught to 60 mph in 2.8 seconds - with the automatic transmission doing its thing too. 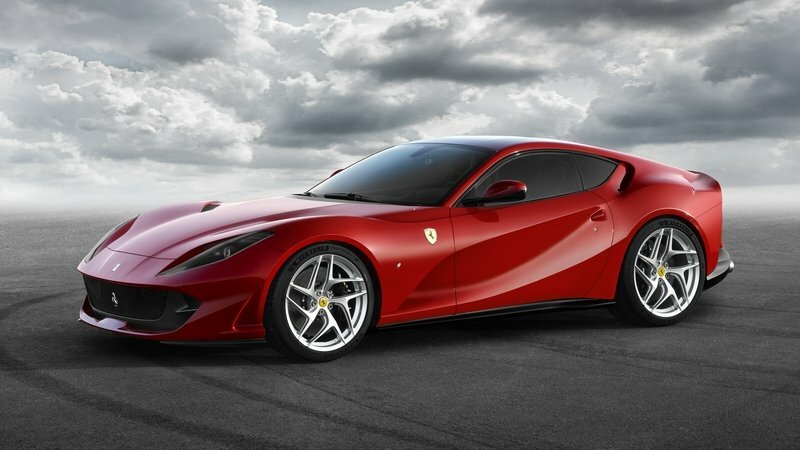 The 812 Superfast features an aluminum chassis with carbon fiber parts (but weight is 3,900 pounds dry) and benefits from the F12 TdF’s rear-wheel steering and electric power steering which the TdF didn’t have. You could argue the power steering takes away a bit of the feeling but, hey, remember the days of the SLR and its no-feel carbon ceramic brakes? What matters is that the 812 Superfast with its 211 mph top speed is such a barnstormer that we're wondering where Ferrari will go on from here. It’s the same thing we’re asking ourselves after seeing the 488 Pista. I mean, just think about this: the LaFerrari I’ve talked about in the opening paragraph of this article put out 951 horsepower and 715 pound-feet of torque but is barely 0.3 seconds quicker to 60 mph. A car that cost in 2013 $1.5 million and that was ultra-hard to get even if you had that sort of money because only 499 (+1) were made and you had to be hand-picked by Ferrari for the chance of owning one. Meanwhile, the 812 Superfast is a more spacious front-mid-engined grand tourer and costs ’only’ $315,000. Yes, it’s not a bargain in the real world but, among the super-rich, it is - especially when LaFerraris trade hands nowadays for $3.2 million. 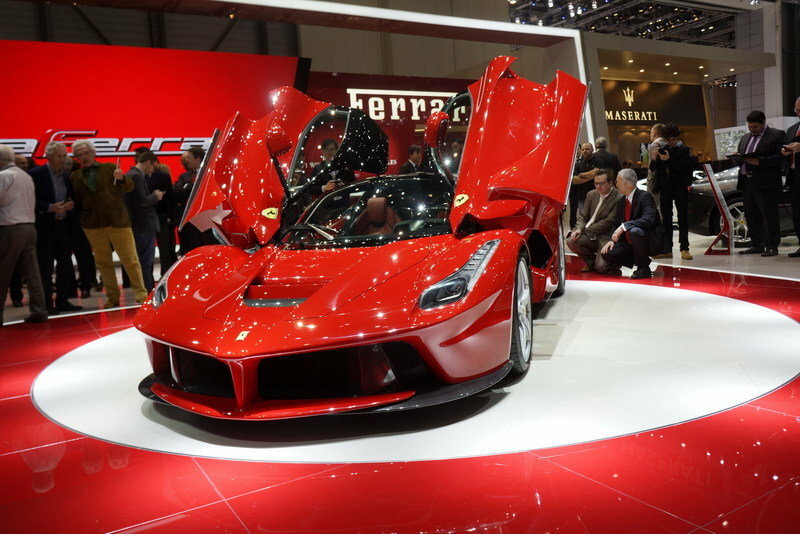 Read our full review on the 2014 Ferrari LaFerrari. Read our full review on the 2018 Ferrari 812 Superfast. 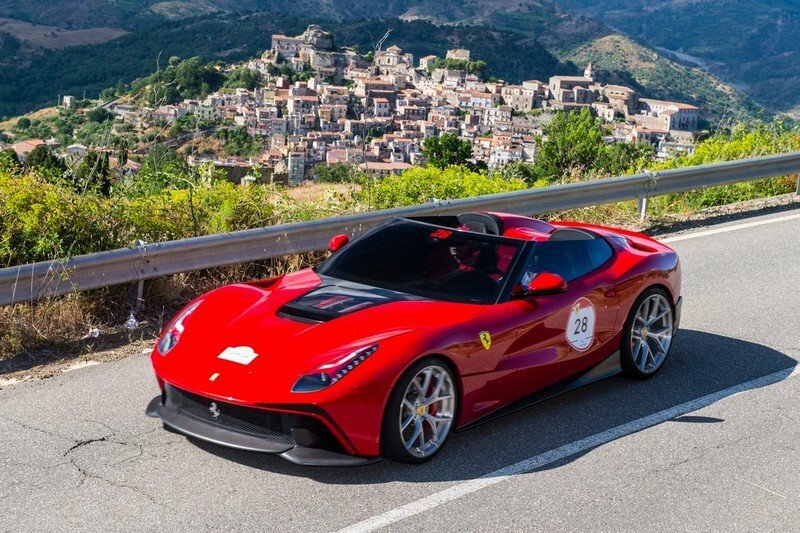 Read our full review on the 2014 Ferrari F12 TRS.